The Magician card from the Motherpeace Tarot. 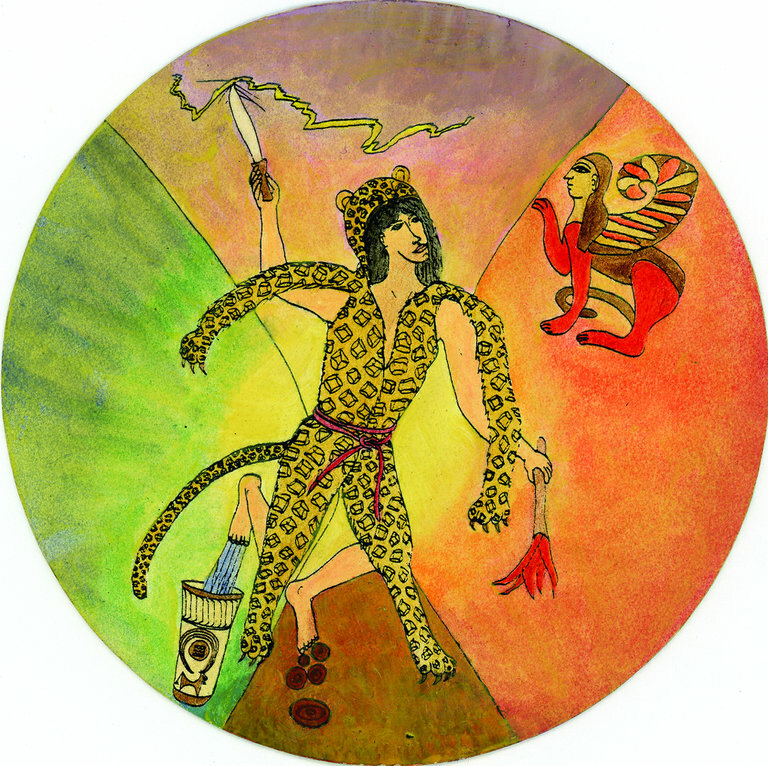 Vicki Noble, who with Karen Vogel created the Motherpeace Tarot Deck in the late 1970s, hasn’t really kept up with the latest happenings in the community of divinatory playing cards. But when Maria Grazia Chiuri, the artistic director of Christian Dior, called and said she wanted to incorporate the Motherpeace into a fashion line, she and Ms. Vogel agreed. Both felt that it could breathe new life into their 40-year-old deck. 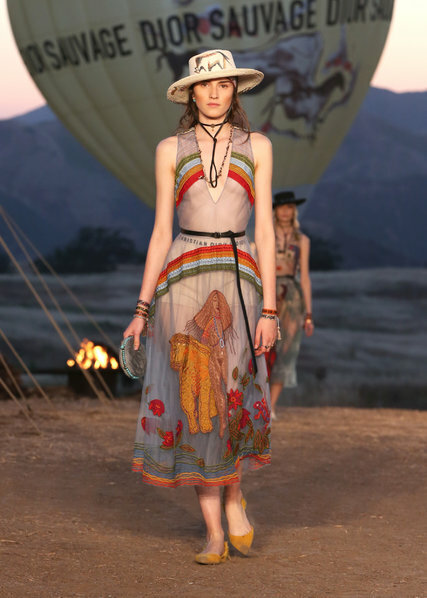 Almost six months after Dior’s fashion show in Santa Monica, Calif., Motherpeace sales have skyrocketed, up 263 percent from last year, according to Stuart Kaplan, the chairman and owner of U.S. Games Systems, a global distributor. A look from the 2018 Dior cruise collection. “I feel like this is a wave, and we should catch it,” Ms. Noble said. Tarot-deck sales in general are up 30 percent this year, after rising 30 percent in 2016 — the highest in 50 years, according to Lynn Araujo, the editorial and communications director for U.S. Games Systems. The company sells hundreds of thousands of decks a year, including Motherpeace, the Rider-Waite Tarot Deck and 123 other varieties. The tarot boom comes as no surprise to Libby Edelson, a senior editor at HarperCollins. In 2015 an unusual new deck called the Wild Unknown caught her eye. With images of plants and animals instead of people, the deck had attracted a dedicated following and was selling out with each new edition. Ms. Edelson acquired the rights to sell the deck with the accompanying guidebook and watched this package climb best-seller lists. The Wild Unknown tarot deck. “Now there’s this whole new wave of tarot,” said Kim Krans, the creator of the Wild Unknown Tarot deck. 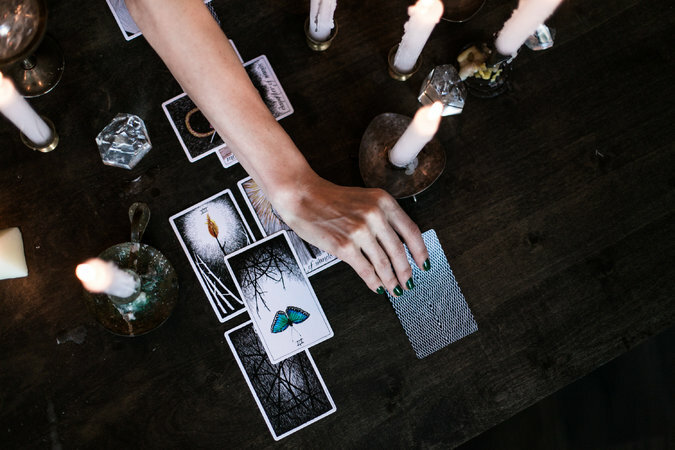 “People are saying things like, ‘I’m going to quit my job and become a tarot reader.’” Ms. Krans attributes her success both to Instagram, on which she has posted images of her cards, and tarot’s incursion, like crystals and yoga mats before it, into modern boutiques rather than dusty occult stores. And what could be more of the moment than crowdfunding? Tarot projects have been on the rise for the last five years at least, according to David Gallagher, senior director of communications at Kickstarter. In 2013 there were 37 such projects. In 2017 there have been 88, including decks created with more diverse audiences in mind.